Strong Box is in the top 5% of Shorthorn sires for weaning, weight, EPD's, and yearling weight EPD's. If you need to add performance to your cow herd, think about using this valuable sire. 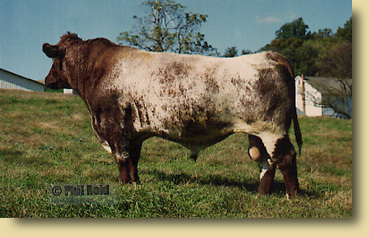 Strong Box females off spring comprise over 50% of the purebred Shorthorn cows at Masonic Village Farm.